Miramar Beach, Fla. (Jan. 21, 2019) — Isn’t is marvelous? For one night only, Emerald Coast Theatre Company will be transformed into the Marvelous Vegas Comedy Club, an epic comedy, theater, live music event like no other on the Emerald Coast. Sponsored by ResortQuest by Wyndham Vacation Rentals, The Marvelous Vegas Comedy Club, is a one-night-one exclusive benefit for Emerald Coast Theatre Company (ECTC) on Friday, Feb. 8. The event will transform ECTC’s Miramar Beach performance space located at 560 Grand Boulevard (upstairs) in Grand Boulevard at Sandestin into a swanky Vegas-style lounge. Cocktails begin to flow at 7 p.m., and the show begins at 8 p.m.
Warming up the stage is comedian and host Holly Trolley-Bauer, who first appeared with ECTC in June as part of the Marvelous Manhattan Comedy Club show. Hailing from Atlanta, Trolley-Bauer is a wife-mom-comedian-cancer-survivor-straight-shooter-cracker-upper-of-audiences-and-encourager-of-women who believes there is power in hyphens. 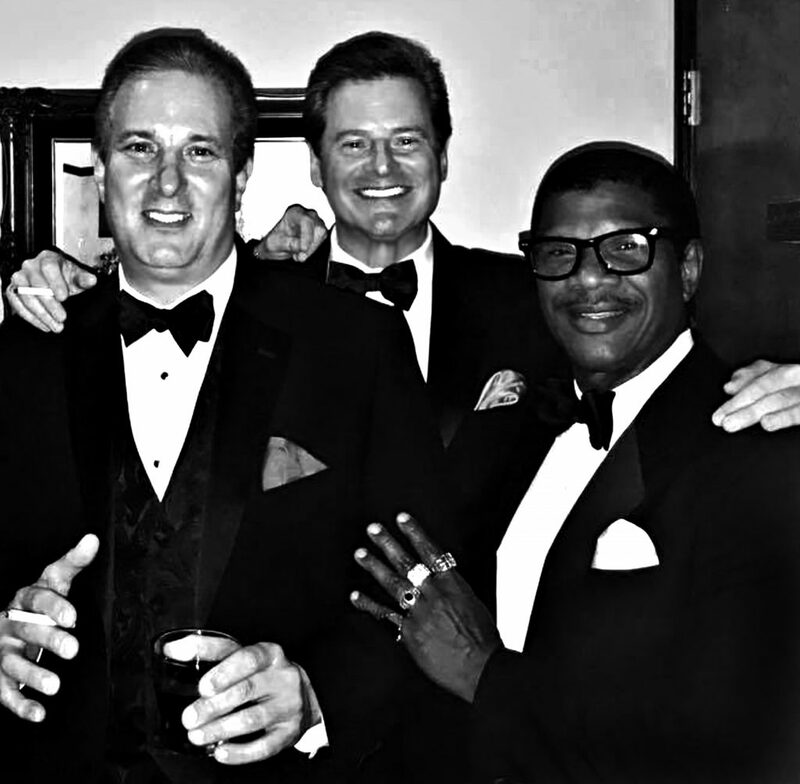 The headline lounge act is Frank Sinatra & Friends of Atlanta featuring Patrick Sallarulo (Frank Sinatra), Mark Phillips (Dean Martin) and Allan Wiltshire (Sammy Davis, Jr.). They will perform our favorite tunes from the ‘50s and ‘60s era such as “What Kind of Fool Am I?” “I’ve Gotta Be Me,” “You’re Nobody ‘Til Somebody Loves You,” “The Theme from New York, New York” and more. Las Vegas has much to be thankful for as the city exploded in growth and profits because of the popularity of the Rat Pack. Every appearance was an inevitable sellout triggering plentiful enthusiasm among audiences who returned for more. Their shows were unmatched in popularity by any act before them and, in Vegas, are about as legendary as Elvis Presley concerts. ECTC hopes to generate as much glitzy excitement with its one-night only show. “The satisfaction I get out of working with these two bums,” Martin would say, “is that we have more laughs than the audience.” ECTC’s audience will be treated to the sensational music and a bit of bawdy banter from these three lovable legendary crooners. Players (general admission) tickets are $65 per person and include the evening’s entertainment, plus one complimentary drink and chef-prepared nibbles and bites. A cash bar also will be available for beverage purchases. High Roller (VIP) tickets are $95 per person and include the evening’s entertainment, plus valet parking, early access, preferred seating, talent meet & greet, two complimentary drinks and access to the High Roller lounge. Purchase tickets online at EmeraldCoastTheatre.org. A wine pull, a silent auction of nearly 20 auction lots including original artwork, travel trips, designer jewelry, delicious dinners, wine, luxury gift baskets, and more entertaining diversions will round out the evening. Guests may get into the spirit of the theater by getting into character by channeling their inner Marilyn Monroe or Frank Sinatra, as dapper 1950s-era dress is encouraged.